In Fonterutoli, the quintessence of research on Sangiovese resides in an experimental vineyard, planted at the end of the 90s in ideal pedoclimatic conditions for Sangiovese: 36 different biotypes of Sangiovese, including 18 massal selections coming from old vineyards. A cutting edge agronomical project creates a pure-bred Sangiovese, a unique wine that includes "Cru", "Monovarietal" and "Blend". 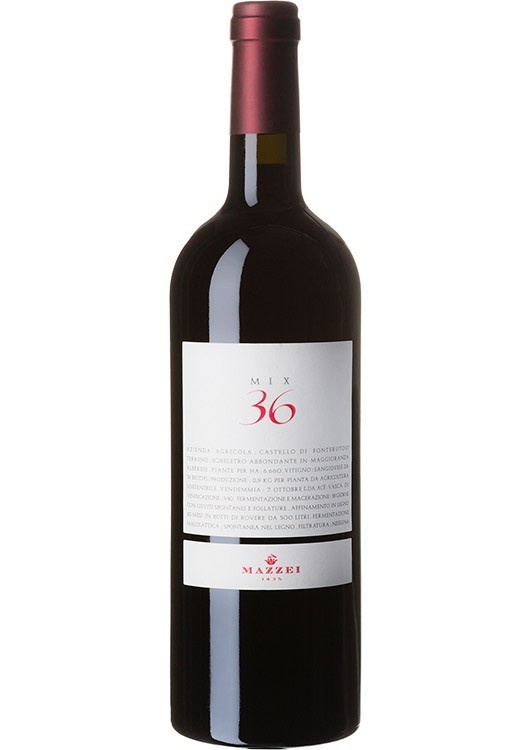 After 20 months in 500-liter barrels of French oak, this wine is bottled and shows, as very few others, what the great grape variety Sangiovese has to offer. Palate: juicy and very polished on the palate, fascinating clear fruit with distinct aromas of red berries, complex and very persistent, elegant acidity, long finish.